I have to admit that I really wasn't a fan of d'Orsay flats when I first saw them. I don't know about you, but when it comes to flats, I've always preferred round toe styles. That was until I tried this pair on. Believe it or not, I found this amazing red pair at Old Navy. Yes, Old Navy. Best of all, I got them on a day when the entire store was 30% off and they cost me less than $20 bucks. Seriously ladies, there's NO need to spend $400+. I decided to stray from my usual choice of black and ended up going with red. They're a great addition to my shoe collection and I can't wait to show you how I style them. 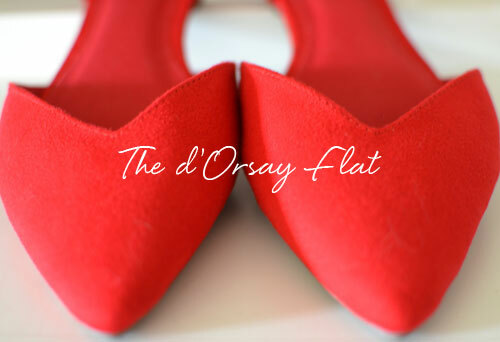 So tell me...are you a fan of the d'Orsay flat? I totally felt the same as you, but they grew on me. This pair is so amazing! These are cute. I totally think I will get some. Those are absolutely gorgeous and what a deal! A total great deal, and they're really cute! Just got these and love them! So pretty! 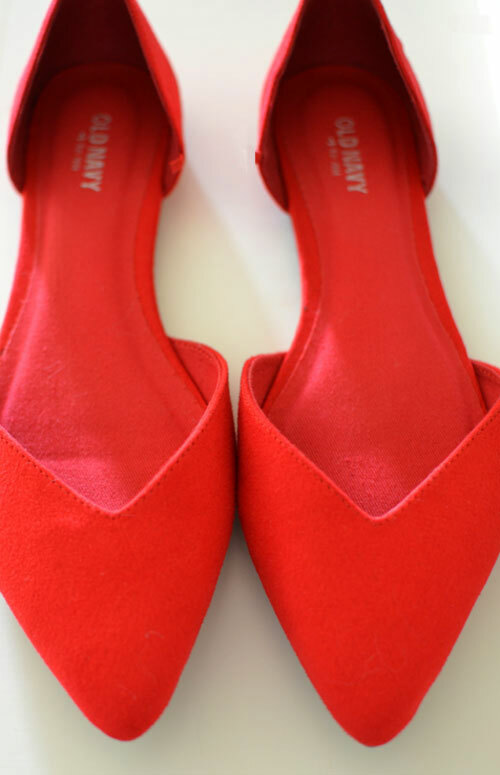 I have a thing for flats, and these look more expensive!